(BPT) - There are several myths and misconceptions that exist when it comes to insurance. For example, true or false? It costs more to insure red cars. The answer is false. Car color has no impact on insurance premiums; however, factors like your driving history, annual mileage driven, the cost of your vehicle and other things will affect how much you'll pay for insurance. Insurance is one of the most useful investments you can make to help safeguard your belongings and financial assets, but it's important to know what you're purchasing. 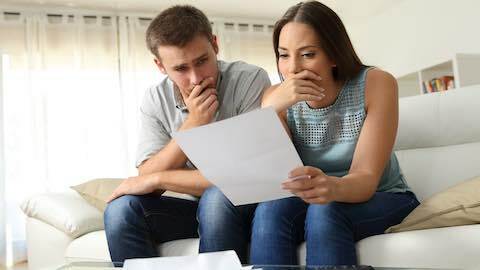 Here are four things you should know about auto, homeowners or renters insurance policies to ensure adequate protection in the event of an unforeseen or unexpected loss. Most states require drivers to carry auto liability insurance. This coverage provides financial protection if you're found to be legally responsible for causing injury to another person or their property. It doesn't cover damage to your vehicle, however, or items stolen from your vehicle, or damage from a storm or vandalism. "When financing a vehicle, the lender may require you to carry this coverage until it is paid off. If your vehicle is older, however, and it has been completely paid off then comprehensive insurance may not be the right coverage because a vehicle's value decreases with age. Consider whether the savings of not having comprehensive insurance are enough to offset the risk of potentially having a large repair or replacement bill," says Kevin Quinn, Vice President of Auto Claims at Mercury Insurance. "Generally speaking, homeowners insurance is designed to help you rebuild your home and replace personal property if it is damaged or stolen," says Christopher O'Rourke, Vice President of Property Claims at Mercury Insurance. "However, you may need to purchase a separate flood insurance policy to protect your home from floods, because these events are usually not covered by a homeowners policy." Renters insurance is very affordable; however, only 41 percent of renters purchase it. And without renters insurance, you'll have to pay out of pocket if your personal belongings are damaged in a fire or are stolen. "Unfortunately, your landlord's insurance policy will not cover any of your personal belongings and it won't provide liability protection if a lawsuit is brought against you because a visitor slips, falls and injures themselves inside your rental unit," says O'Rourke. "Renters may not be responsible for repairing the home they live in, but there's always a chance their possessions and valuables will need to be replaced if they are damaged or stolen, so purchasing a renters insurance policy is a smart way to provide financial security." A personal auto insurance policy protects drivers in case they're involved in a collision. However, there are certain situations where more coverage is needed. "With the advent of the gig-economy, many people are turning to ride-hailing jobs, where they can be their own boss and set their own hours," says Quinn. "Without the proper insurance, however, they're putting themselves and others at risk if they get into a collision, because your personal auto policy doesn't cover you when you use your vehicle for commercial purposes. This includes driving for Uber or Lyft, or even pizza delivery. "Mercury provides ride-hailing insurance, but if it isn't currently available in your area or you're using your vehicle to make money in another capacity like delivering pizzas, you'll want to purchase a commercial auto policy." Insurance is a sound investment, but can be complicated, so it's always a good idea to speak to an insurance agent. These highly trained professionals can provide expert advice and guidance to help ensure you are adequately protected. Personal Finance: "Insurance Myths and Misconceptions Dispelled"